Tough time deciding? A Honolulu Museum of Art gift card is the perfect gift for any occasion! 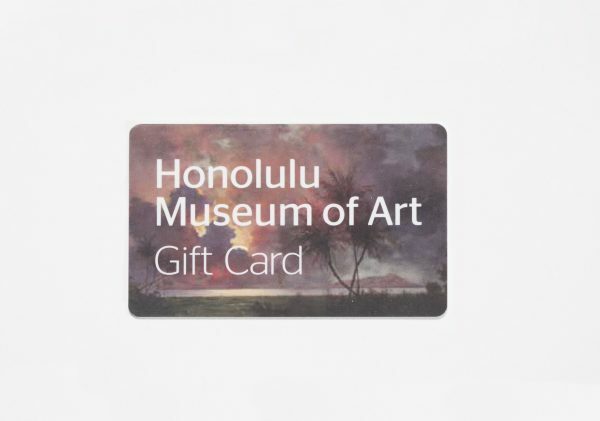 Lunch at our cafe, souvenirs from our gift shop, classes at the Art Center, museum admission – our gift card covers it all! Choose from one of five pre-set amounts and we will deliver your personalized gift free of charge. Gift cards cannot be used for phone orders or online purchases at this time. They may not be redeemed for cash and cannot be replaced if lost or stolen. 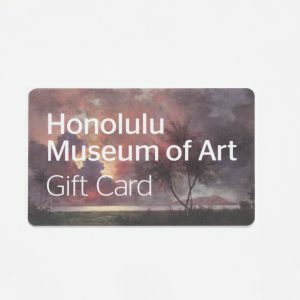 Member and promotional discounts are not valid toward the purchase of a gift card. All gift cards are valid for two years from the date of issue.